Free Wood Mallet with this Energy Bar Chime. 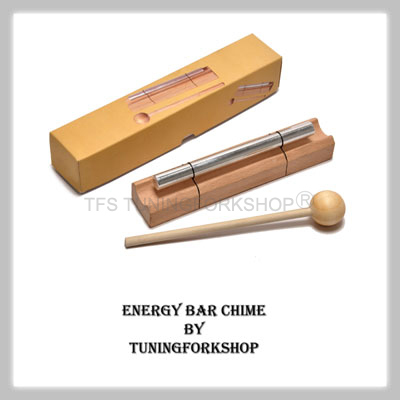 All Energy Bar Chime are in attractive color box. Chime bars are suspended above good quality wood base for a clear resonating tone. Chime bars are made from special Aluminium alloy producing rich, long lasting sounds. These are used for healing as they produce different vibrations and frequencies. The sound vibrations emitted by these energy chimes are rich in natural harmonics, which are the healing component of music,triggering alertness, concentration and deep relaxation. Energy chimes are used for healing and relaxing. Incredible resonance helps to focus the mind in meditation. Perfect for Feng Shui energy clearing and Chakra balancing.